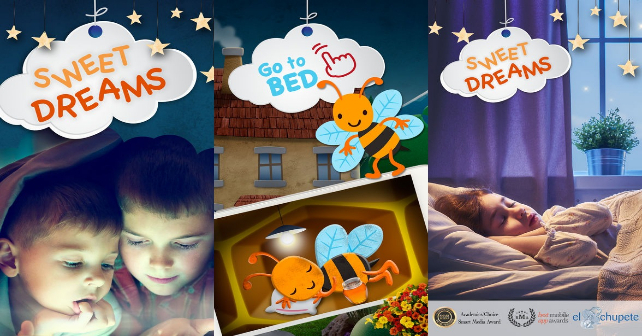 Say goodbye to the hustle involved thanks to Sweet dreams: Goodnight books designed for iPads, iPhone, and Android-powered devices. Nighty Night Little Friends is a bedtime story application which makes it easy for your child to fall asleep as the help to put ten 2D animated animals to sleep. The animated animals in this story are placed in different ecosystems; the town, woods, farm and in the ocean. Each of these animals eventually wants to sleep after making their way through a series of fun and entertaining events. Sweet dreams: Goodnight books works like a charm, and the new go-to-bed routine puts the kids right to sleep. It is most suitable for kids above the age of three as they can hold the device for themselves as they listen attentively to the captivating bedtime stories. Children are susceptible to sound and images, and this app uses these senses to shush your little one to a deep, peaceful sleep. Aside from serving as an excellent alternative to Bible stories to avoid monotony, it also boosts creativity. The animals which star in these stories are an ant, horse, cow, dog, chicken, spider, worm, snail, bee, and sheep. The app is also educational as it helps the children to identify the sound made by each of these animals and the food they eat. The Nighty Night: Dream Well My Friends application which is categorised as a game is distributed by Leverage IQ Iberica Internet Services SL. This app was released on December 24th, 2017 and has a size of 139 MB. The initial language was English, but it is currently available in Portuguese, Spanish, German, Catalan, and French. Sami Apps developed this Application as part of a project called Digital Apps. The project is concerned with making various educational apps which contain fairy characters from different countries. The lively reading and activities have an interactive effect on the children and keep them engaged before slowly sending them off to sleep. Parents can download the application from iTunes or Google Play. They also have the option of watching the videos on the YouTube page of Sami Apps. Do not hesitate to say goodnight to your children with Nighty Night Little Friends!